The Ski Club of New Jersey is a club under the umbrella of The Ski and Snowboard Council of New Jersey. The council offers discounts to a large number of ski resorts, ski retailers, ski location lodging; it also offers discounts including travel insurance. In general, the program provides on-the-spot discounts (with some exceptions) at participating businesses. This program applies to individual members of SKI CLUBS that are members of the New Jersey Ski &; Snowboard Council. A valid SKI CLUB ID (issued by the Ski Club of NJ) must have a NJSSC numbered sticker affixed to the ID to validate a member’s eligibility to participate in the program. The 2017 sticker is valid for the ski season of 2017-2018. When both sticker and ski club ID are valid, this is considered a VALIDATED NJSSC SKI CLUB ID. 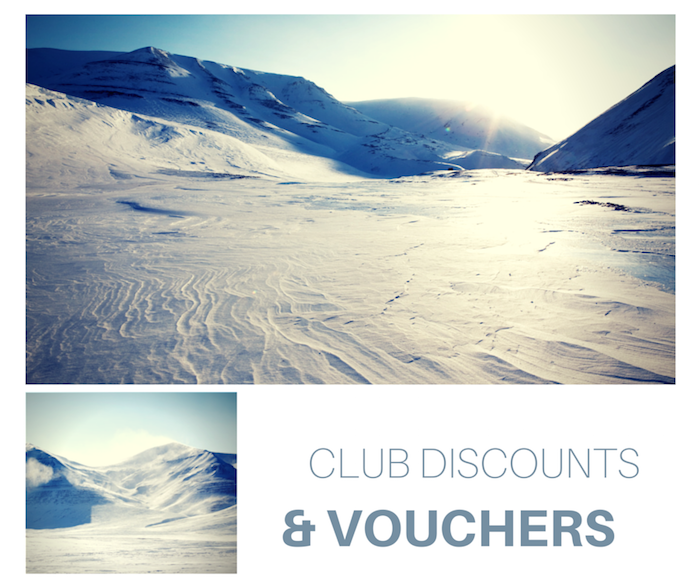 Through our parent organization, the NJ Ski & Snowboard Council, The Ski Club of NJ is offered 2 types of discounts: Advance purchase lift tickets and Merchant / Ski Resort discounts when you present your ski / snowboard club membership ID card, this is of particular value on Council Days, when significant discounts at participating mountains apply. The New Jersey Ski & Snowboard Council offers Ski Club of New Jersey members an opportunity to obtain discount ski lift tickets, mainly from US Eastern ski areas. Administration of the program is done at the club level; all tickets are ordered by a club representative and delivered to the club. The program is for use by club members for themselves and their families, only. Obtain your tickets thru our club NJSSC Representative(s). If you are a club member, contact your club representative to have an order placed for your tickets. If you are a club representative, just log into the NJSSC Voucher section of the Council Website. Note that this requires that you know your club’s unique username and password. Full ordering information and instructions are provided in the Voucher section of the website. Tickets will be either delivered to the club representative at the next Ski Council meeting, or shipped directly (a $15 shipping charge will be added to the cost of the ticket order). Some ski resorts who participate in this program allow a certain percentage (up to 100%) of the tickets to be returned if not used. All returns, like all ordering, is handled through the member club’s representative to the New Jersey Ski & Snowboard Council. This program applies to individual members of SKI CLUBs that are members of the New Jersey Ski & Snowboard Council. A valid SKI CLUB ID issued by a member club must have a NJSSC numbered sticker affixed to the ID to validate a member’s eligibility to participate in the program. The 2017 sticker is valid for the ski season of 2017-2018. When both sticker and ski club ID are valid, this is considered a VALIDATED NJSSC SKI CLUB ID. Below is a list of MEMBERSHIP DISCOUNT fliers for the 2017 – 2018 season. Regarding Discount Days and Special Events at Area Ski Resorts and participating establishments. Some of these are Ski Council specials, others are available to the General Public. Present your club card with the NJ Ski & Snowboard Council Sticker and a photo ID to obtain NJSSC discounts. Go to group sales if there are any problems.